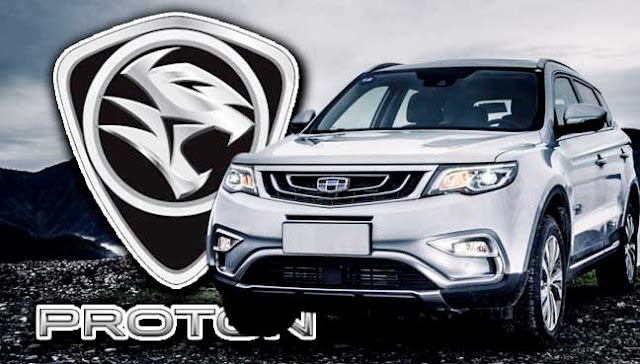 BUKIT LANJAN: Will Proton SUVs sell like ‘hotcakes’, shutting up critics? The launch of the Made-In-Malaysia Sport Utility Vehicle (SUV) is set to be launched late this year and the response has been encouraging. The yet to be named Proton SUV, jointly developed with China’s Geely, had in the first nine days attracted 69,000 Facebook users to vote for the name of the SUV. “This should be a great start for the Malaysia-China joint venture,” Gerakan Deputy Speaker Syed Abdul Razak Alsagoff said. 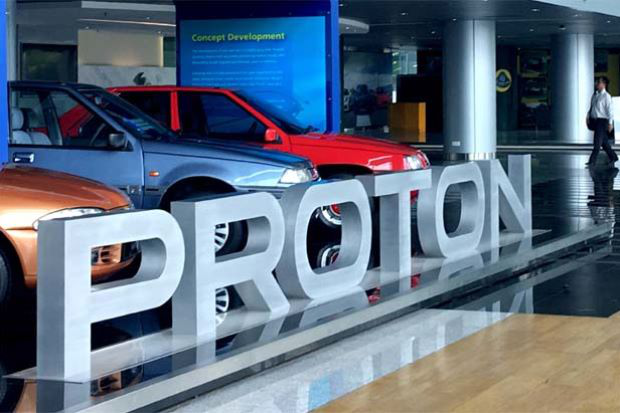 He said sales for the Proton SUV should be encouraging, depending on whether the price “is competitive” in the market for the same marque segment. Syed Razak, who is Gerakan nominee to contest N.37 Bukit Lanjan in the 14th General Election on May 9, said the launch of the SUV would be “very extremely crucial and important to the Proton-Geely joint-venture (JV)”. “If the SUV sells like hotcakes, it will shut up Proton critics,” he added. KUALA LUMPUR: Proton Holdings Bhd is set to launch a new sport utility vehicle (SUV), the first product jointly developed with its partner, Zhejiang Geely Holding Group Co Ltd (Zhejiang Geely). Proton Sales and Marketing Vice President Abdul Rashid Musa said the vehicle would be the first premium C-segment SUV produced by a Malaysian automotive brand. “The SUV will be equipped with some of the most technologically advanced features like smart voice recognition, 360 degrees 3D camera and a host of advanced safety features, like adaptive cruise control and automatic emergency brake assist, just to name a few,” said Abdul Rashid in a statement today. He said the SUV would be the starting point of a new model range for the company, and encouraged the public to get up close and take a look at the future of Proton. 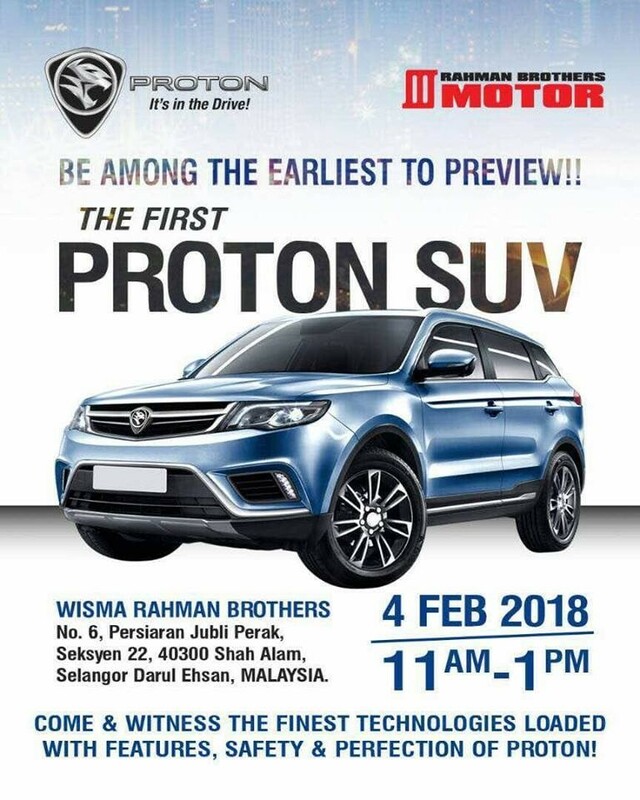 The unveiling date of the SUV is undisclosed, however, Proton is in the midst of an online poll to determine the name of the SUV. “The online poll launched by Proton on its Facebook page inviting the public to vote for the name of its first SUV has attracted a huge number of responses over the first nine days,” said Abdul Rashid. As of April 11, over 69,000 Facebook users had taken the poll while the video that is posted with it has been viewed more than 165,000 times. Over 1,000 people also shared the content on their own personal pages, thus increasing the potential reach of the exercise. “The new SUV is a significant milestone for Proton and therefore we want to share it with our fellow Malaysians as it also represents a symbol of national achievement,” said Abdul Rashid. As the official launch date of the SUV approaches, Proton will embark on more activities to build product awareness and excitement among Malaysians. Proton is 50.1% owned by DRB-HICOM Bhd and 49.9% held by Zhejiang Geely. - Bernama"